The curriculum at Springwell Leeds Academy, across all key stages, has been developed in order to allow for the flexibility and personalisation required to respond to the individual needs of each child. All curricular areas aim to support students’ SEMH needs by providing learning opportunities in which students can develop social skills, self-control, self-awareness and skills for learning through highly engaging, creative, and knowledge-rich content. Through this framework, we provide a broad, balanced and differentiated curriculum that supports every child’s SEMH, academic and vocational development, as well as their spiritual, moral, cultural, mental and physical development. Students at Springwell Leeds Academy are assessed soon after entry to inform and tailor their curriculum offer. This pathway helps define key priorities based upon their starting points and therefore what the focus of their personalised curriculum will be. At Springwell Academy Leeds all time is learning time and opportunities to foster positive relationships. We aim to prepare students to have positive experiences when we welcome them to school each morning, support our young people to manage the demands of the social school day successfully, and provide enrichment opportunities where students can practice positive social skills and spend quality time with peers and key adults before finishing their day. Three key aspects of our school day; nurture breakfast, family dining and social time, and team time, support the implementation of our SEMH curriculum. At lunch time, students and staff have meals together either in our communal dining spaces or in class areas allowing staff to model, facilitate, and reinforce positive social skills for young people in a structured and safe environment. Provide our children with daily access to emotionally available adults, who believe in them, and can relate to them with compassion, empathy and unconditional positive regard. Support children experiencing painful life events, by helping them process, work through and make sense of what has happened. Ensure that staff interact with children at all times with kindness and compassion. Staff and adults adjusting their expectations of vulnerable children to correspond with their developmental capabilities and experience of traumatic stress. See the Springwell Academy Leeds Framework for Learning (link) for a more comprehensive view of our approaches to teaching and learning. 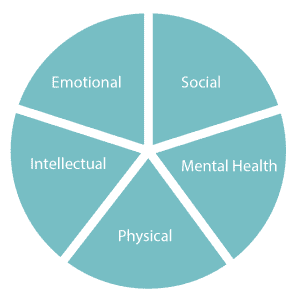 All of our pupils have social-emotional needs and this need underpins our curriculum offer. In order to support staff, students and parents/carers in recognising both SEMH and academic progress, we measure social skills, ability to understand and manage emotions, and developmental deficits, in addition to measures for academic development. For a more detailed outline of our assessment policy, please click here (link).